Although native to South America, the lemon verbena herb grows well in the mountains of Greece where it has become the go-to leaf for making a delicious tea known as Louisa in English and luiza in Greek (λουΐζα) and pronounced the same in English and Greek—loo-WEE-zah. While the jury is still out on its health benefits, Louisa is touted to have a stimulative effect on the digestive tract; thus, the belief is that it aids in slimming. 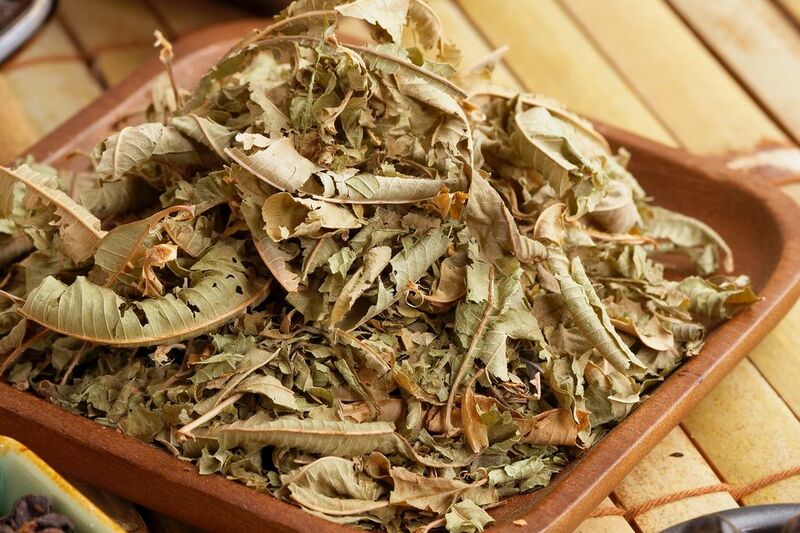 It also is believed to help the urinary system, fight against fevers, has a calming effect on the nerves, and aid those with joint pain, asthma, colds, skin conditions, and chills. Louisa is sold under several names, the most common being lemon verbena. It can be found as a prepared tea (bags), as loose tea, or as dried leaves. Let's Make a Cup of Tea! For a delicious beverage, place a small handful of dried tea leaves into a small teapot or saucepan and pour in 10 ounces of boiling water. Let the tea steep for 5 to 7 minutes or, for a richer flavor, a tad longer. Strain and add a sweetener like honey, or drink it plain. When using an infuser, add leaves to an infuser, bring 10 ounces of water to a boil and pour over the leaves. Allow 5 to 7 minutes of steeping for best flavor. Lemon verbena makes a great iced tea. Just increase the tea and water proportions, use a larger pot and, after steeping, transfer it to a large pitcher and chill in the refrigerator to be enjoyed throughout the day. Remember, if you add ice cubes, it will weaken the tea so you might want to make a stronger tea to start with.